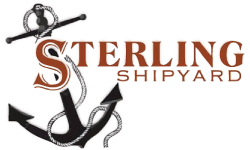 Located in Port Naches, Texas Sterling Shipyard is home to a state-of-the-art marine repair and construction facility that includes two dry docks and 24 hour service if necessary. Our workforce of 80+ includes USCG / ABS certified welders and Auto CAD engineers for your construction and repair needs. Please visit our Services page for more information on what services we offer.